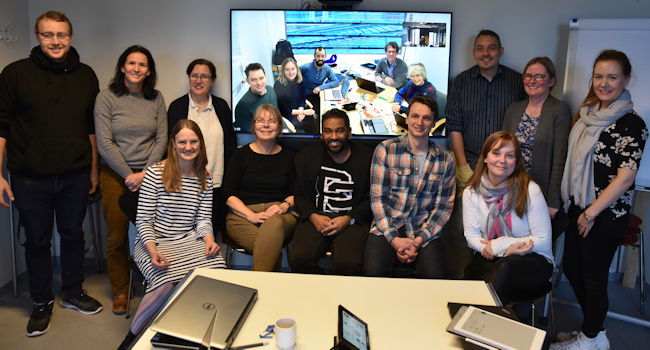 PBL Future is a Aalborg University research collaboration acroos faculties, seeking to develop research based directions for problem- and project-based learning (PBL) in a digital age. and that students develop PBL competences that are relevant in a digital age. This project will re-conceptualise how PBL could operate in new formats, based on the core principles of PBL, while exploring and developing new digital approaches that operate in and open up for new hybrid PBL learning models. An important goal of the project is to have a high degree of global and local impact. This will be achieved by setting a research agenda for PBL in a digital age that will attract international attention as new directions for more student-centred learning is a global need. The ambition of the project is that AAU will be among the top-five institutions in the global PBL ranking.